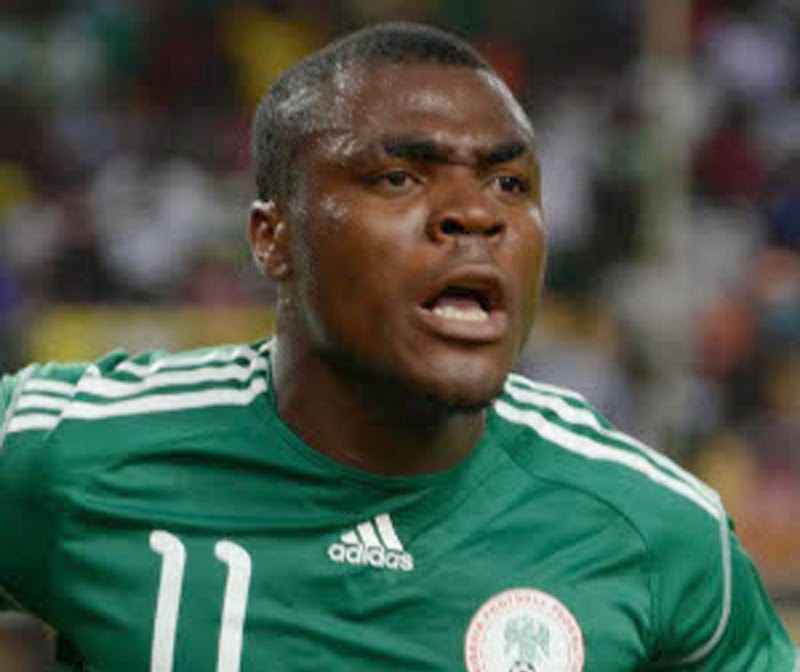 Former Nigeria international Emmanuel Emenike has branded the Nigeria Football Federation (NFF) 'unserious' over their decision to fix another match on the same day Joseph Yobo’s testimonial match will be played even after they had approved the match to retire the former Super Eagles skipper. Nigeria will play a friendly against Mali in France on May 27, the same day the Yobo testimonial will be staged in Port Harcourt. West Ham striker Emenike said the decision of the NFF was disrespectful to the former Eagles skipper and Everton defender, who had served the country with total dedication and a century of caps to prove. "If we are still on the same page of rebranding football, we should have the common sense of celebrating our heroes so that the younger ones in the team will live by example,” an angry Emenike said. "Yobo deserves the honour and everybody has to turn up to celebrate him, but it’s unfortunate that it’s the NFF who are now looking like the obstacle to this testimonial. The Super Eagles players are the ones who want to play the Yobo match, tell me how will that be possible if they are in for another national assignment on that same day. “We should change our mentality of ‘use and dump’ approach in order to reach greater heights of football in the world. “Yobo was one of the best in Africa during his playing days, he's a known name all over the world and he should be celebrated in a bigger way. The younger ones are watching, let's change things." He continued: "I understand that the Joseph Yobo match will be played this same day Super Eagles have a match against Mali or whoever, is that the way it’s being done in other countries? "I think some people are just unserious about our football. This is a top match and Yobo has written a letter to the NFF before now, so why are they playing this international match also? “We should also understand that we don't respect our past heroes, we don't appreciate the past, we only want people to come and die and forget about their life. "I think it will be better for them to do something about it and cover their mess because of other foreign players coming for the match." "Even when I was in the team, I got angry at times when you see the way things were going wrong and you begin to question yourself on a lot of things and this is just one of those things."